MORRIS MARINA 1300 ; YEARS (c) 1974-1980. MORRIS MARINA 1800 ; YEARS FEB.1972-1978. MORRIS MARINA 1700 ; YEARS 1978-1980. Morris Marina 1.3 1973-75. Marina Van 7cwt 1973-78. SUCH AS COLOUR FADE OR SMALL SCRATCHES. 50 years of experience to help and guide you through your enquiry. With a great range of car care and accessories to see you through all seasons. MORRIS ITAL 1300, 1700 & 2 LITRE SALOON ; YEARS 1980-1984. MORRIS MARINA 1300, 1700, 1800 & 1800TC SALOON ; YEARS 1971-1980. 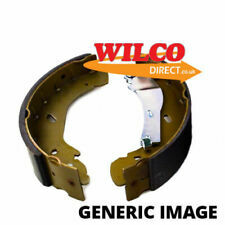 Brake shoes, set of 4, compare to Lockheed KB1156, Mintex MGR50, Lucas Girling GS6118, GS336. Austin Morris Marina 1300 Saloon and Coupe 1973 onwards, FROM chassis 302538. Morris Marina 1100 cc & 1300 cc 7 cwt Van from 1973 onwards, FROM chassis 18351 onwards. MORRIS MARINA 1300 ; YEARS 1971-(c) 1974. MORRIS MARINA 1800 ; YEARS 1971-(c) FEB.1972. ALL MODELS WITH AUTOMATIC OR SELF ADJUSTING REAR BRAKES. 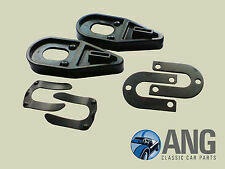 Each set contains 4 shoes which is sufficient for one standard car. HERE WE HAVE A SET FRONT BRAKE SHOES FIT MORRIS MARINA SALOON/VAN 1.3.1973-1978. MORRIS MARINA 7CWT VAN 1973 on. coupe ch 302538 on. SET OF FRONT BRAKE SHOES. 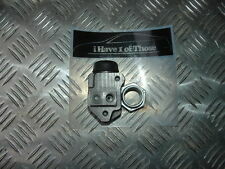 Suitable for vehicles with Girling calipers fitted (Not ATE) 1x Front brake caliper repair kit / seals Kit contains parts for one brake caliper Includes a Free sachet of assembly paste Frentech repair kits are manufactured to specifications consistent with original equipment. Vauxhall Victor FC 101 (chassis no. 6121540 on) 1964-67. Morris Marina Saloon & Coupe1300 (chassis no. 166516-168000, 172479-302537 except 291007-295000) 1972-80. Morris Marina 7 cwt Van (chassis no. 1486 on) 1972-81. MORRIS Marina. Manufactured by TRW. from 1970 to 1980. Available at checkout for £3.99. Can't find what you're looking for?. Looking to place a bulk order?. 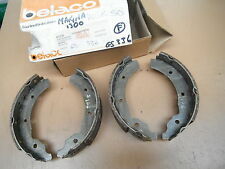 MORRIS MARINA 1.8 Brake Shoes Rear 71 to 79 Set QH. MORRIS MARINA II Station Wagon 1800 Estate Petrol 10/1975 10/1978 RWD 8 78 57. MORRIS MARINA Station Wagon 1800 Estate Petrol 04/1971 10/1975 RWD 8 78 57. A top quality rear brake hose. Set of DIRECT COMPONENTS front brake shoes for MORRIS MARINA Mk1 1.3 1973 to 1976,AUSTIN MORRIS 7 cwt MARINA VAN 1973 to 1981. Buy It Now Price. 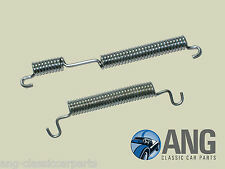 Set of 4 rear brake shoe hold down pins,springs & washers. Ensemble de tuyaux fabriqué sur commande, faite avec un outil professionnel, tous les tuyaux en qualité kunifer de frein 3/16" tube., main droite ou main gauche en voiture. Type Brake Line. Marina van 7cwt 1974-78. part number GW26. Marina van 7cwt 1974-78. part number GW25. MORRIS MARINA 1300, 1800 (SALOON & ESTATE) ; YEARS 1971-1980. They locate on the rear brake back plates and act to prevent dust and dirt etc from entering the wheel cylinders. Morris Marina 1.3 Commission Nos 291007 to 295000 & 302538 onwards 1973 to 1975. Morris LCV 7cwt Van Commission No 18350 onwards 1973 to 1978. Genuine UNIPART Cylinders. MORRIS MARINA 1.3 (72-75) Ch. 22.2mm bore, Girling System, LH only x2. LH WHEEL CYLINDERS - GWC119. PAIR of NEW FRONT. If you are not 100% happy with the part you ordered, we will replace the part or your money back. Austin Morris Marina style LCV Van & Pick up 1972 - October 1978. Triumph Toledo 1970 - 1972. I have a set of Don 24 Lining Material (GBS721), a set of Don 242 Lining Material (GBS126) plus a spare wheelset (2 Shoes) and one of Don 266 Lining Material (GBS 161) plus a spare wheelset (2 Shoes). Morris Marina Mk1 Saloon, Estate 1971-75. Marina Mk2 Saloon, Estate 1975-80. Marina Van, Pick-Up - 7cwt. SUCH AS COLOUR FADE OR SMALL SCRATCHES. 50 years of experience to help and guide you through your enquiry. MORRIS MARINA. FRONT BRAKE CALIPER REPAIR KITS, ENOUGH TO DO BOTH FRONT CALIPERS. I WILL BE UNABLE TO PROCESS ORDERS FROM THE 14TH SEPTEMBER 2014 UNTIL THE 6TH OF OCTOBER 2014. ORDER ONLY ON THIS BASIS. I WILL BE UNABLE TO PROCESS ORDERS FROM THE 14TH SEPTEMBER 2014 UNTIL THE 6TH OF OCTOBER 2014. ORDER ONLY ON THIS BASIS. I WILL ACTION ORDERS ASAP AFTER I GET BACK. MORRIS ITAL 1300, 1700, 2000 ; YEARS 1980-1984. MORRIS MARINA 1300 (DISC BRAKES) ; YEARS 1971-1980. MORRIS MARINA 1700 ; YEARS 1978-1980. MORRIS MARINA 1800, 1800TC ; YEARS 1971-1978. ROVER 9968570, GBS506AF, GBS610, GBS651, GBS800, RTGBS6067, TKC294. MORRIS MARINA Station Wagon 1800 Estate Petrol 04/1971 10/1975 RWD 8 78 57. MORRIS MARINA II Station Wagon 1800 Estate Petrol 10/1975 10/1978 RWD 8 78 57. MORRIS ITAL 1700 & 2 LITRE ; YEARS 1980-1984. MORRIS MARINA 1300, 1700 & 1800, 1800TC ; YEARS 1971-1980. This piston is designed to fit all Type 14 brake calipers. MORRIS MARINA 1700 ESTATE ; YEARS 1978-1980. MORRIS MARINA 1300 ; YEARS 1975-1980. MORRIS MARINA 1800, 1800TC (Ch. No. 172479 ONWARDS) ; YEARS 1972-1978. AUSTIN MAXI 1500 & 1750 ; YEARS 1969-1978. New old stock Don front brake shoes. A little light corrosion from long term storage. (ALL MODELS FITTED WITH THE GIRLING TYPE 14 CALIPERS). MORRIS MARINA 1300, 1700, 1800 ; YEARS 1971-1980. The price shown is for 2 bleed screws which is sufficient for TWO calipers. All models (inc Van) - from 1971 to 1982 Manufactured by Lucas Girling (Now known as TRW). We are a family run motor factors in Midlothian, Scotland. Our staff have over 50 years cumulative experience in the motor trade with one of us specialising in Ford parts and have access to old microfiche for Ford O.E.M parts numbers. Morris Marina 1.3, 1.7, 1.8 1975-80. Marina Van & Pick-Up 1975-82. SUCH AS COLOUR FADE OR SMALL SCRATCHES. 50 years of experience to help and guide you through your enquiry. With a great range of car care and accessories to see you through all seasons.